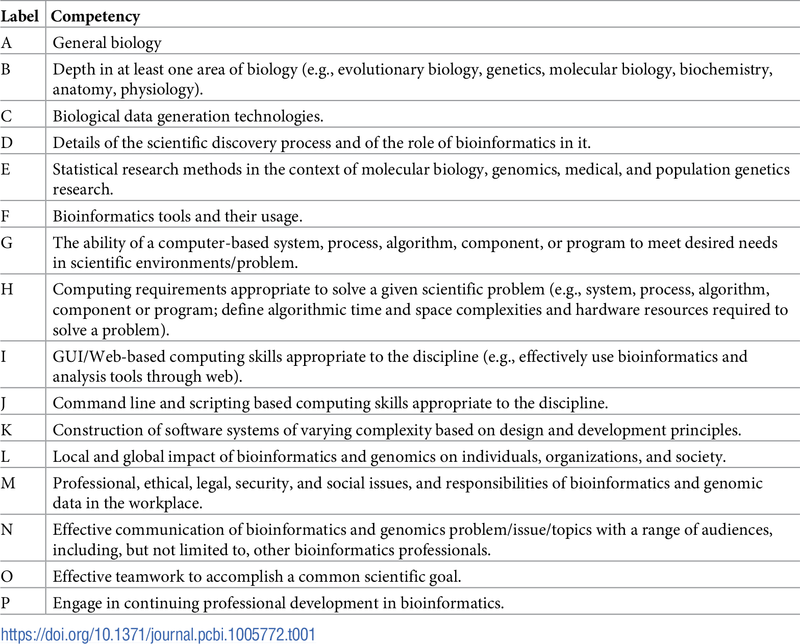 In this 2018 article by Mulder et al., a broad collective of knowledge and experience is brought together to better shape the competencies required for a modern bioinformatics education program and their training contexts. Need is immense, yet methodologies are diverse, necessitating cooperation to refine core competencies for different groups. The authors describe the development of these competencies and then provide practical use cases for them. They conclude the competencies "provide a basis for the community of bioinformatics educators, despite widely divergent goals and student populations, to draw upon their common experiences in designing, refining, and evaluating their own training programs." However, they also caution that they shouldn't be viewed as "a prescription for a specific set of curricula or curricular standards."